The pair EUR/USD will consolidate in the range of 1.2400 -1.2500 amid the lack of important macroeconomic statistics. The dollar index basket is intended to break through the new highs that will encourage bears to open short positions within the euro. The EUR/GBP cross rate is between 78th and 79th figures that will not be able to provide strong support for the European single currency despite the UK negative inflation expectations. The EUR/USD was able to rebound from the resistance level of 1.2500-1.2520 and to decrease to the support level of 1.2405-1.2425. 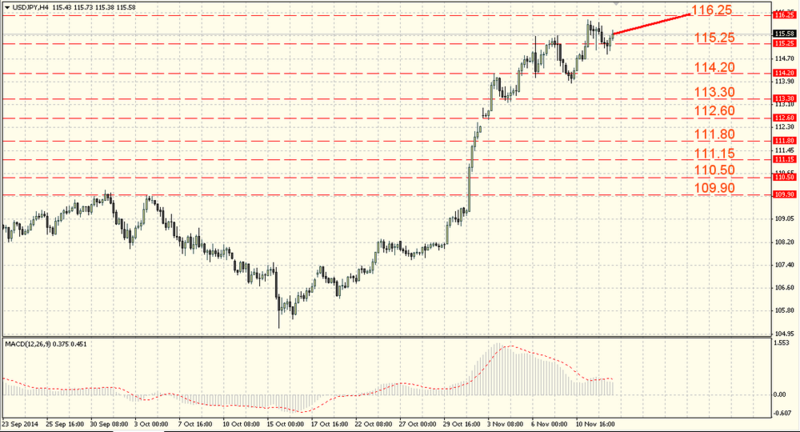 The support levels are 1.2405-1.2425, and the resistance levels are 1.2500-1.2520. The growth above 1.2580-1.2600 will weaken the downward pressure and will allow the bulls to test the resistance level of 1.2660-1.2680. The traders’ attention is focused on the unemployment and inflation release. According to the traders’ expectations the first report can show the employment growth that is a positive factor for the British currency. We observe the Brent oil significant sales that with the M4 aggregate money supply reduction in the current quarter that point out to the lower inflationary pressure. The bond market dynamics indicates the short-term pound overvaluation. 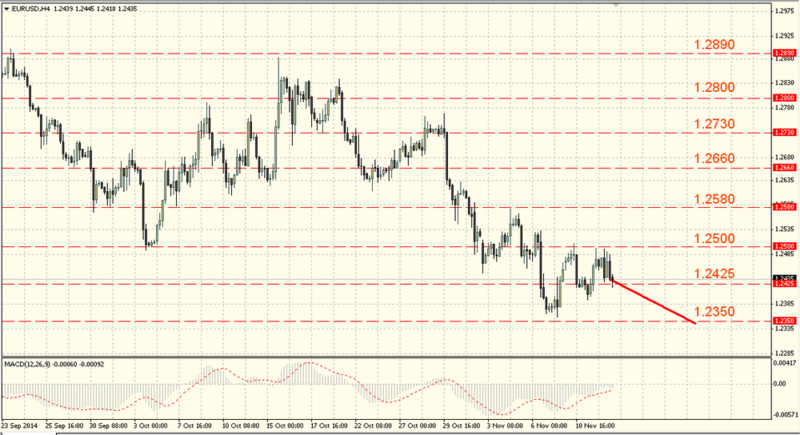 The pair found the support and from this level it was able to grow to 1.5960-1.5980. But the pair rebounded downward, broke through the level of 1.5850-1.5870 and fell below 1.5780-1.5800. 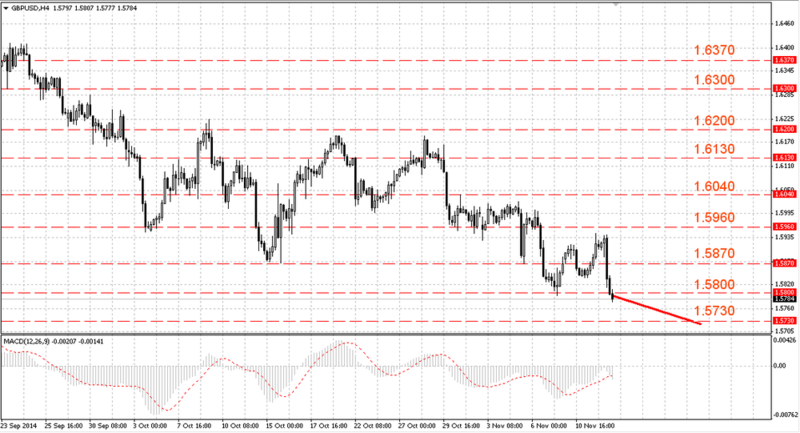 The support levels are 1.5710 – 1.5730, and the resistance levels are 1.5800 – 1.5820. The ability to rise and to consolidate above 1.5870-1.5890 will signal about the pound readiness to continue the upward correction with the next target that will be the psychological level of 1.6040-1.6060. Its breakthrough will open the way to 1.6130-1.6150. The Bank of Japan loose monetary policy continues to run the pair USD/JPY cross rate. With the given US strong data we receive a steady upward trend. During the day we do not expect the interesting releases and against this background the traders’ attention will be focused the stock exchange trading dynamics. The US stock market feels extremely confident and against this background we can expect the upward trend continuation. The US dollar continued its growth against the Japanese yen and tried to test the level of 116.25-116.45 that was able to provide the decent resistance. The frauds, located there, rebound the dollar to support around 115.05-115.25 where the pair is traded now. The support levels: 115.05-115.25, and the resistance levels: 116.25-116.45. The pair is still in the formed range and the exit out of this range will give the movement direction. The loss of the support level of 115.05-115.25 will lead to decrease towards 114.00-114.20 and the highs breakthrough will allow bulls to test the 117-th figure.